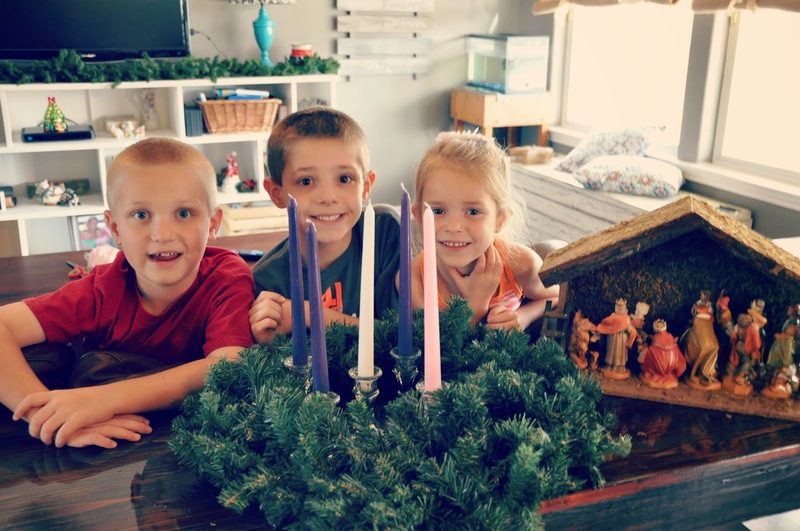 I have been wanting to start the tradition of an Advent Wreath with my kids for the last couple of years. Typically, though, I remember around the second week of December and by then it is too late. This year when it crossed my mind, our family was knee deep in the flu and I couldn't get out to get the items. We finally made it out today! Woohoo - this year I am only one day late (we really should have started it last night). 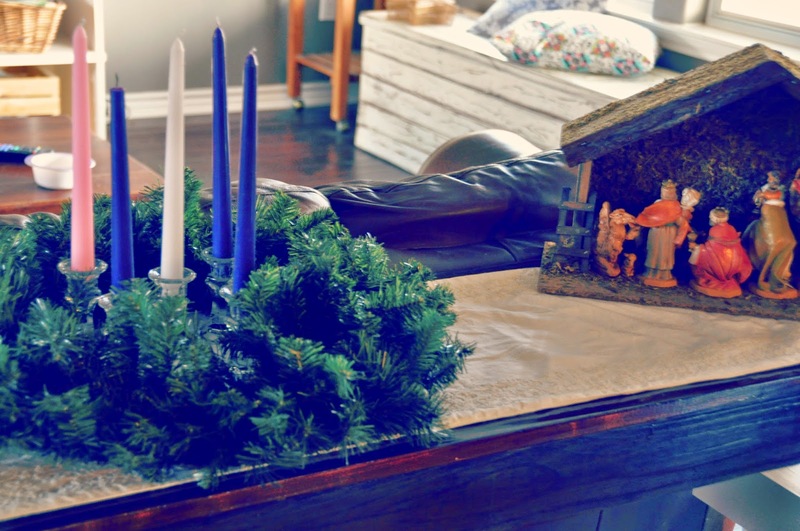 The Advent wreath is a Christian tradition which symbolizes the four weeks of Advent. The word advent means preparing for the arrival of a noble person. 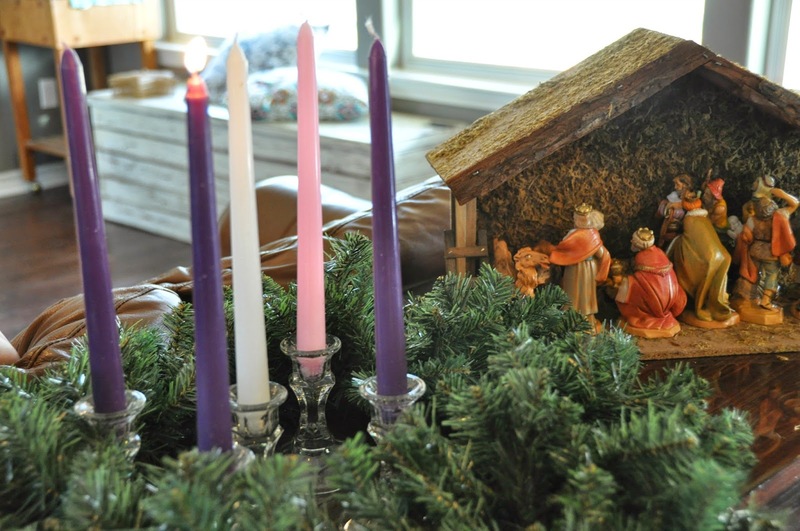 In Christian tradition, Advent is recognizing the four Sundays leading up to Christmas and the birth of Jesus. Each Sunday is represented with the lighting of a candle. A wreath is used to represent God (having no beginning or end). Evergreens are traditionally used in the wreath to represent life. 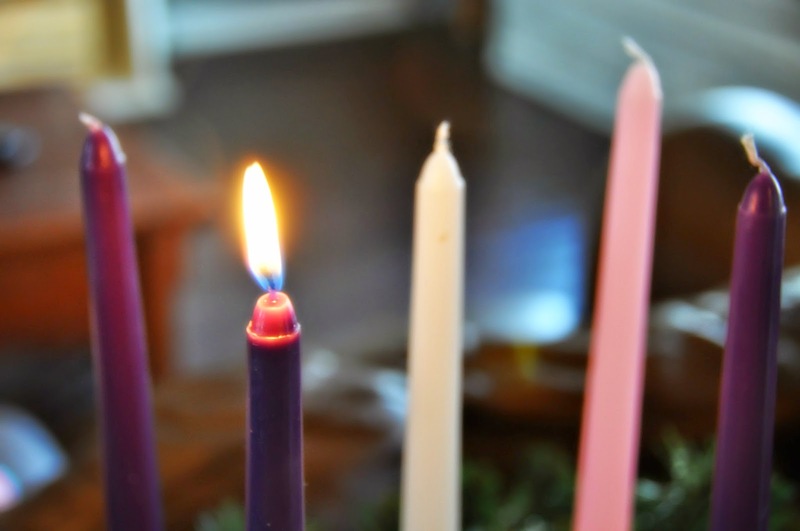 Five candles are placed in the center of the wreath (3 purple, one pink, and one white). I explained each candle to the kids as we put the wreath together. I also explained that the Advent Wreath has a long history in European countries (one being Germany which is part of our heritage). They asked if anyone in our family had ever recognized this tradition. For some reason, if someone in our family has already done a particular tradition they feel it is that much more important. :) To their delight I explained that Great Grandma Esther (my mom's mother) would light an Advent Wreath each year (as my mom was growing up). That pretty much sealed the deal - they are hooked! We also lit the first purple candle to make up for being a day late. :) They were so excited to place the wreath next to our Nativity scene. Throughout the afternoon I have noticed each of them quietly walking over and looking at our new addition. P.S. If you noticed (and are wondering) why every single piece of our nativity is shoved in the stable the answer is: "There is a storm coming and we don't want anyone to get wet," said three children with huge imaginations! Teacher Gifts: I Love This Idea!! !